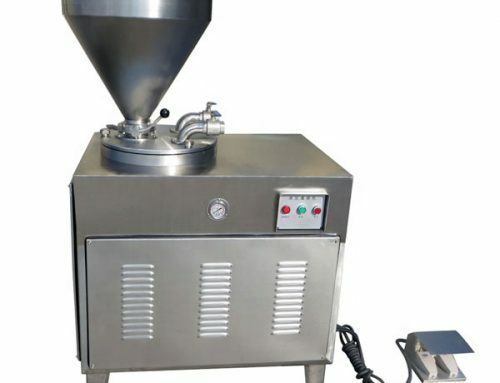 Vacuum sausage filler is widely used for stuffing various sausage products such as natural casing and collagen casing. 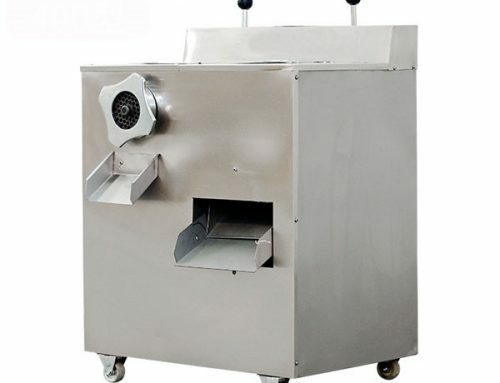 Furthermore, this sausage filler machine is suitable for filling bottled or boxed sausage products. 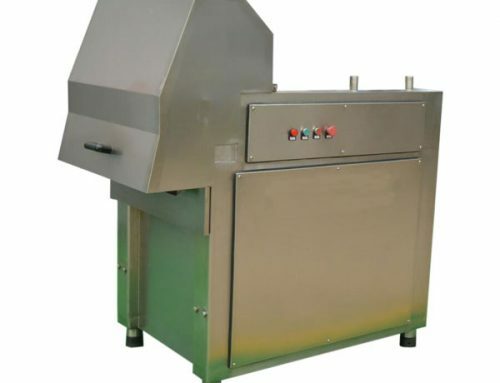 Finish filling process under a vacuum state, this commercial sausage stuffer can reduce the number of bacteria to the minimum, making sure quality products with good color and taste. 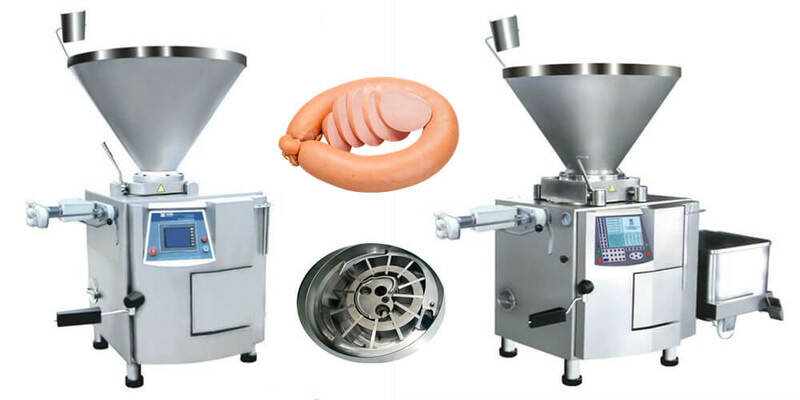 The electric sausage filler can be used together with many different kinds of sausage clipping machine to achieve automation production. 1. 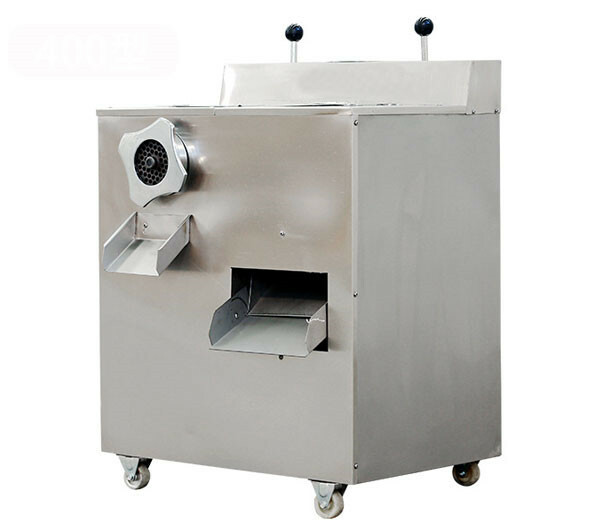 The whole machine is made of high-quality stainless steel, and the key parts adopt special treatment, having a long service life and are easy to clean. 2. 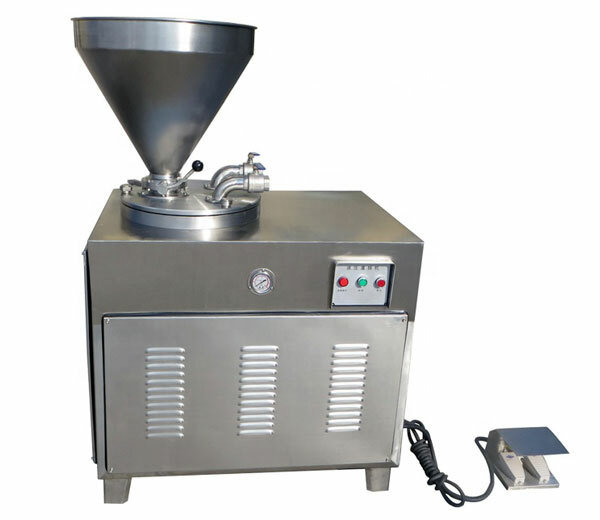 Adopt advanced surface technics, compact structure, elegant appearance, easy and simple to operate, convenient to maintain. 3. 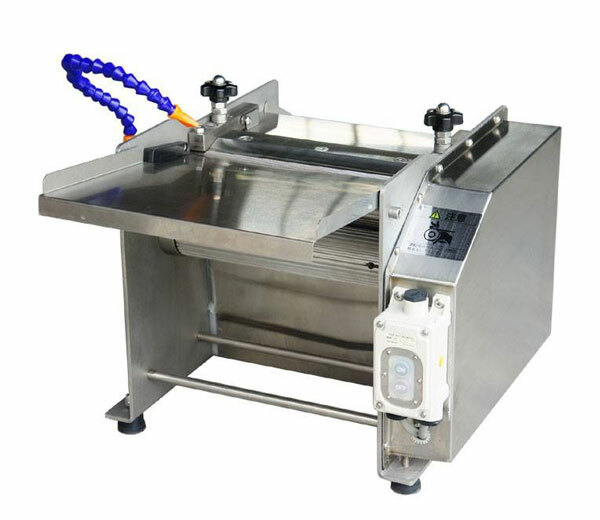 Equipped with a safety device, ensuring the safety of the operator. 4. 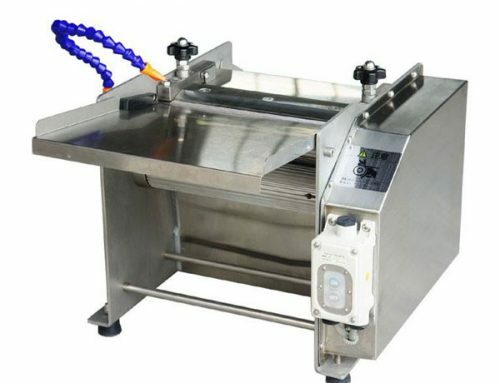 The electric sausage filler adopts vane pump for filling, driven by a servomotor, operated with a human-computer interface and PLC control. 5. 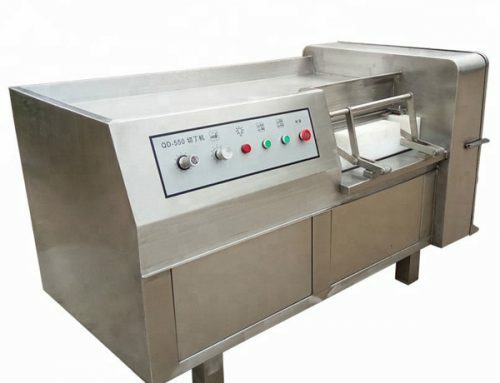 The pump body, impeller, and blade all adopt special heat treatment, highly polished, durable, ensuring the quantitative accuracy and is also convenient to clean. 6. 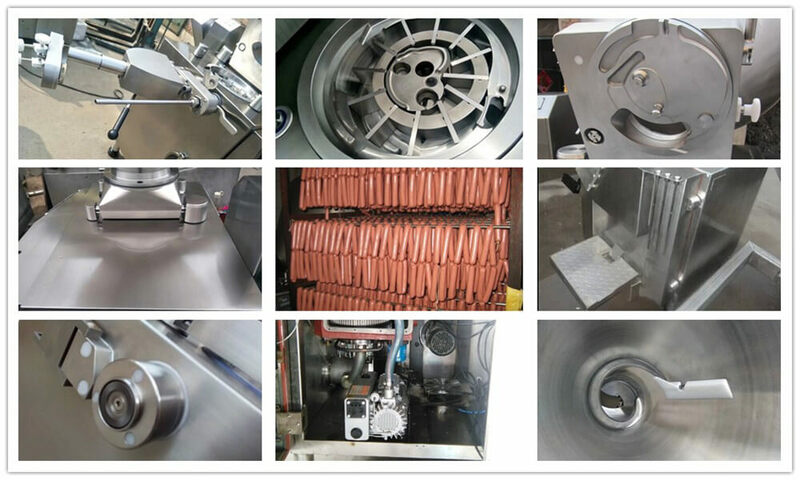 Vacuum sausage filler machine is equipped with automatic kink system and the kink speed is adjustable. 1. 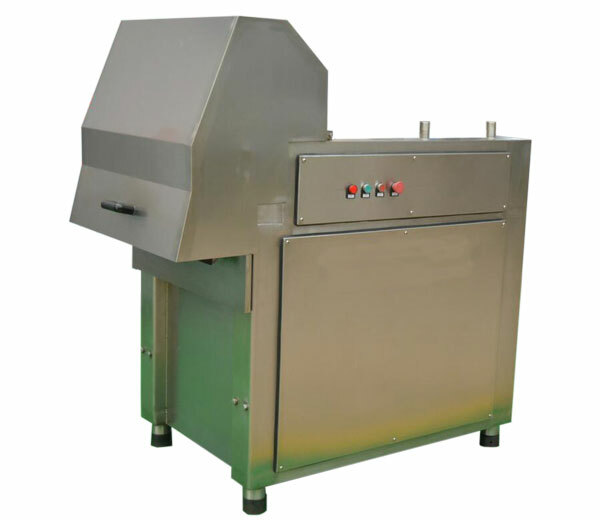 Vacuum sausage stuffer is widely used for stuffing various casing products, such as meat paste sausage, ham sausage, ham, etc. 4. 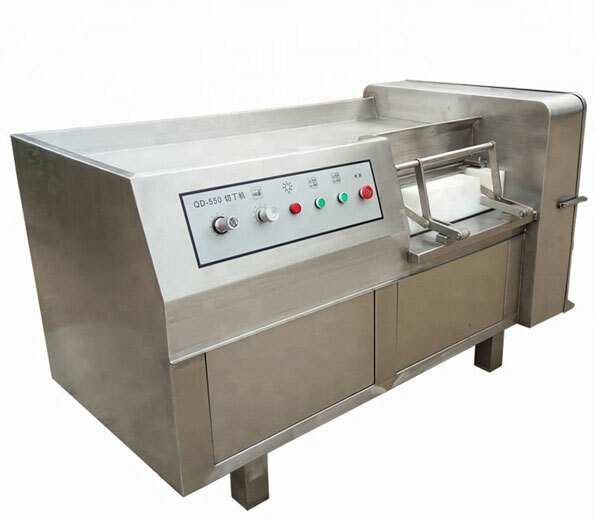 Wide business range: suitable for meat products processing plant, Chinese restaurant, western restaurant, leisure food plant, etc.